On Monday, I had been preparing to go to work as usual. I made dinner around 3pm so that I could eat before going in. Sometime around 330pm, one of my bosses called me and asked me if I would like the day off. I thought, how often does that happen? I also thought, do I want to take a day off and have less hours this week? I decided to accept her offer, that way I had some extra time with the kids and Chris. 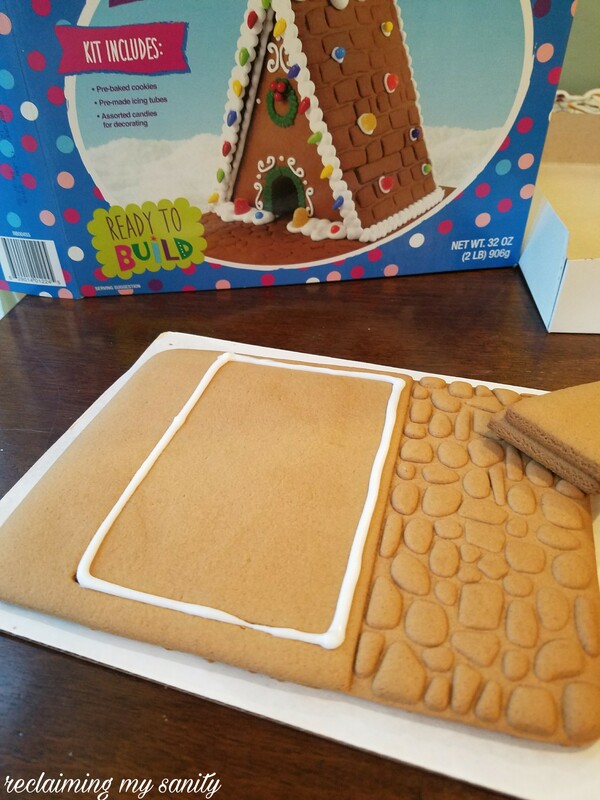 Pickle had been asking about building the gingerbread kit, we bought the day before, all day. I figured since I didn’t have to work, all of a sudden, it would be the perfect time to put it together. 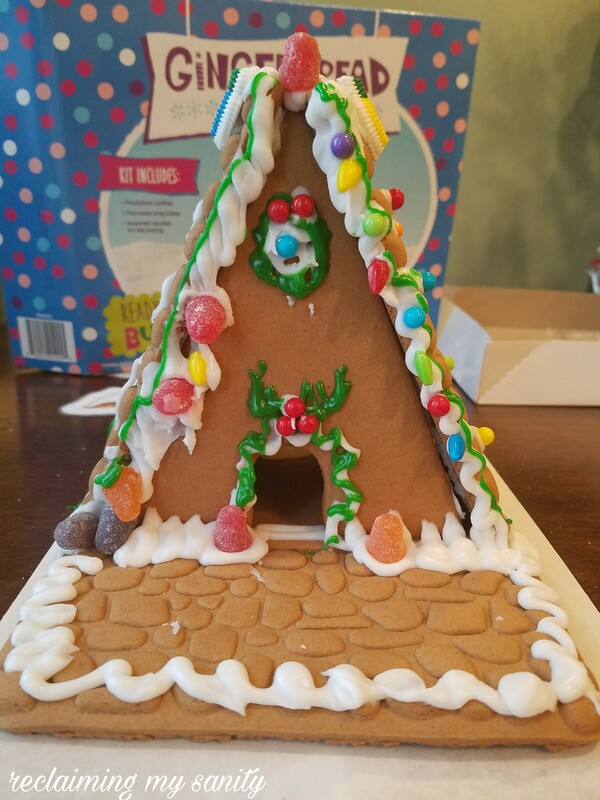 Last year, I became so frustrated with the gingerbread house kit that we bought because it would not stay up. At that time, Pickle didn’t really care because he would rather eat all the little candies. 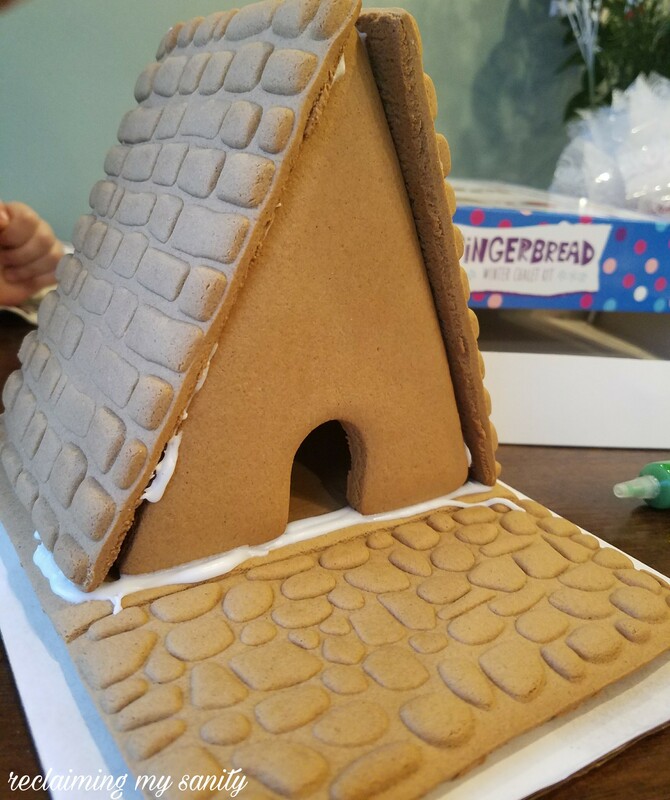 I made a giant stack of gingerbread house pieces and then covered it in frosting. It almost looked like a volcano. Unfortunately, I cannot find the picture of it. After that catastrophe last year, I decided against a house for this year and went with the chalet. I don’t know if the brand makes a difference or if it was just having less pieces, but it came out much better than I expected. 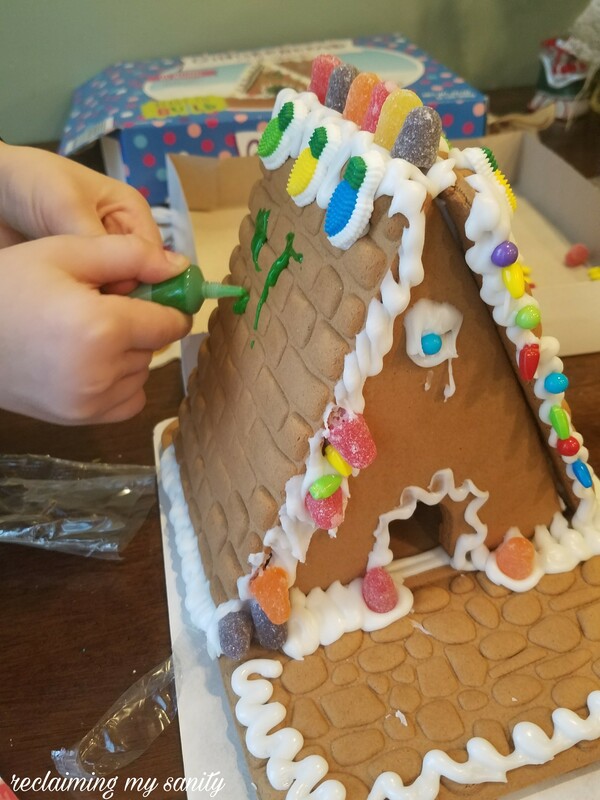 Be sure to give the frosting enough time to dry to keep it standing up. Pickle was mostly just interested in eating everything. After we got it put together he decorated one side and I did the other. I went with a simple look just by adding a few candies. I also decided to try to improve my frosting skills and added some more to the front. 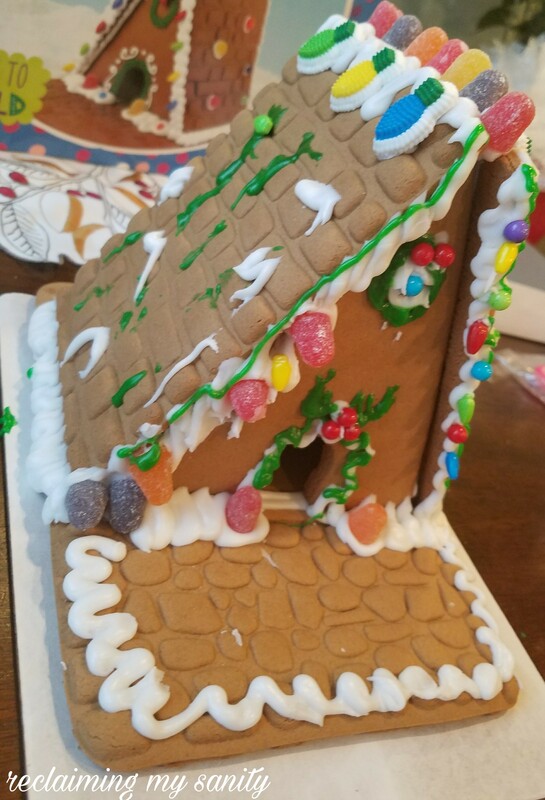 What I should have done was put the frosting on before building it, that way it dried before it drooped down. Overall it was a fun time and came out 100 times better than last year. Here is Pickle’s finished side. Maybe next year’s will be even better. I love these traditions. These are the things my kids will remember for a long time. 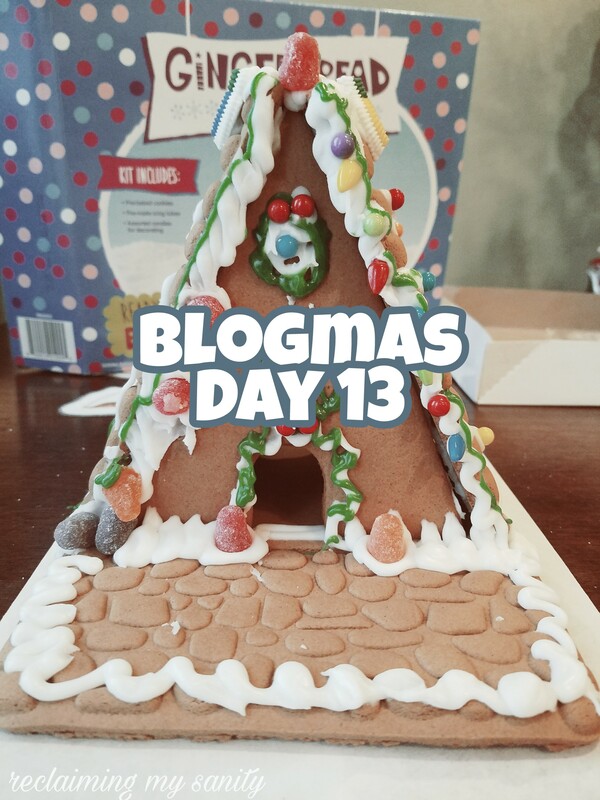 Do you build gingerbread things? The “Chalet” part is pretty funny. 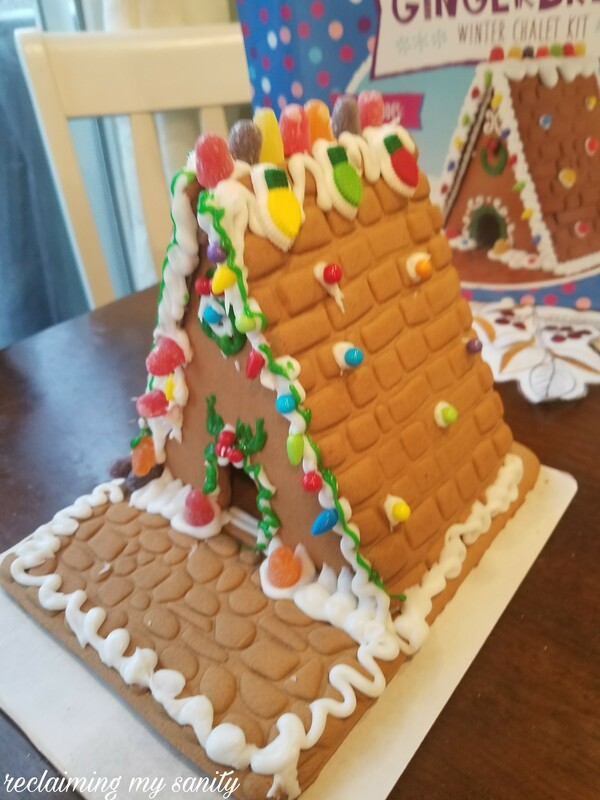 Not sure I should admit this but I’ve never built a ginger bread house, not in 60+ years. Not sure why either.